Search through thousands of listings to find your perfect home - Search by Basic Search, Advanced Search or draw a polygon of your desired area. Save your searches in your own Property Organizer. Welcome to IsabellaScott.com - South Florida Waterfront Homes and Condos, where we are focusing on the homes and lifestyles of the beautiful, nature-oriented communities of the Treasure Coast and South Florida. 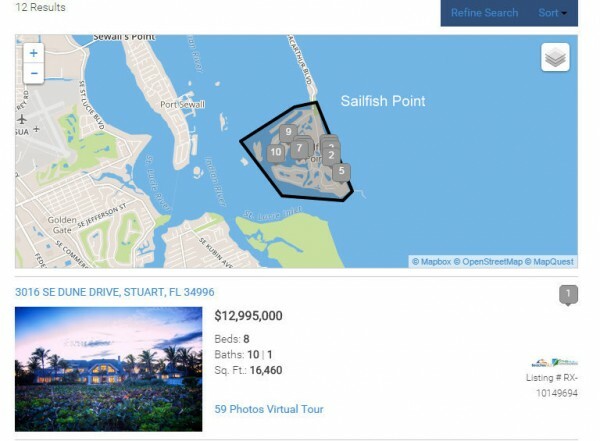 Find your dream home with oceanfront, intracoastal, lakefront and golf amenities as well as quiet little neighborhoods and spacious acreage properties. Looking to buy in Port St Lucie, Stuart, Jensen Beach, Jupiter, Manalapan, Boca Raton, Highland Beach and Delray Beach? You've come to the right place! We are your one-stop source for this area's neighorhood and luxury real estate. We hope you can take some time to explore the new features of our IDX search tools, neighborhood information and saved searches with all the wonderful properties that we are excited to offer! Peruse the latest blog articles and market data to help you in your home buying and home selling ventures. Visit our What's New page to keep up to date on the latest info we are adding. Port St Lucie 4+ Bedroom Homes - Need a Den or Office? View our Area Market Data Reports and Articles about the Home Sales Market and Trends.